Some investors are wary of buying into agricultural property after the failure of numerous managed investment schemes, but these properties can offer numerous benefits to investors when accessed through different strategies. Agricultural property is very different to commercial and residential property, agricultural business expert Alex Delves explained. Mr Delves, who works for real estate and investment management services firm JLL, told Nest Egg that there were more considerations that need to be made when buying agricultural property, as its value (and the return it will generate) relies on multiple factors that don’t affect other kinds of property. “It’s not just the fact that you buy and use a property, with agriculture you have so much other expenditure and operational exposure in running an enterprise, whatever use that agricultural land has, and that’s a very hard thing for many investors to understand when they’re trying to get exposure,” he said. This is not the only thing stifling access to agricultural property, Mr Delves said, with only a small number of available investment products, and many Australians are wary of agricultural property after losing money through managed investment schemes invested in the market. “That left a bad taste in a lot of people’s mouths in terms of what farming and primary production can return you and how the whole market is really — that was a really bad investment vehicle from a mum-and-dad perspective and they lost money on it,” he said. 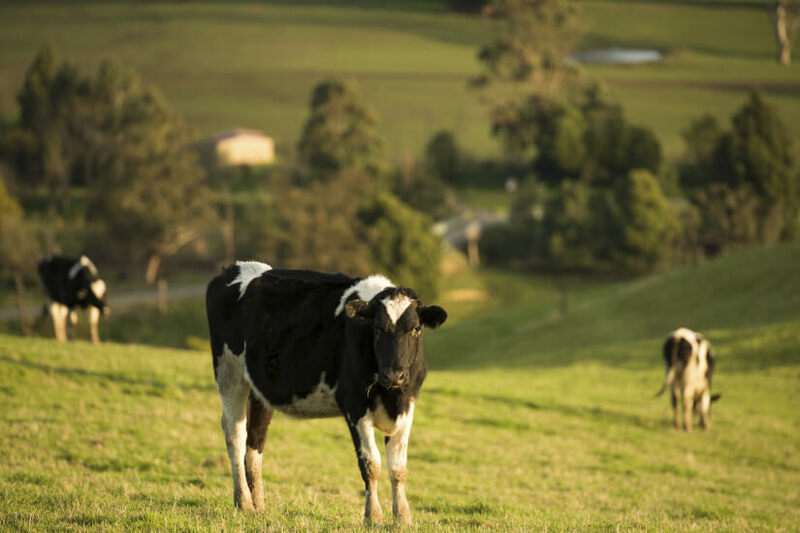 Despite this, Mr Delves thinks agricultural property could play a role in Australian’s retirement savings — if the right investment vehicle is used. Agricultural properties, unlike their residential and commercial peers, are predominately owner-occupied, Mr Delves said, but those which present investment opportunities can be split into three categories, not all of which generate returns in the same way. The first two groups are corporations, which are governed like any other business, and farmers. These two give investors access to a property and the yield generated by the property’s related enterprise, he said. The third group is property funds and real-estate companies, which purchase the land and lease it back to a third party “like a wine company looking for vineyards, or a poultry producer for their poultry sheds”, he said. These, Mr Delves said, are particularly attractive in that they work like a pure real-estate investment, and returns won’t be dependent on how well the farm’s business operations go in a given year and the companies which rent that land can absorb the cost of a year or two of bad production. Returns depend on the sector; say you have poultry or similar, that typically yields between 5 and 8 per cent, and other specialist areas like horticulture, vineyards, and citrus, have investment yields anywhere between 7 and 10 per cent,” he said. However, volatility in commodity prices and climatic conditions can pose a risk to investors, Mr Delves said, as one year could see an entire crop destroyed or lost, but the next year could present a “bumper crop”, making forecasting difficult. “It’s halfway between a real-estate investment and a business investment, and it can be hard to articulate that to investors,” he said. On the real-estate front however, the scarcity of farmland worldwide and unlike residential and commercial property that exists in urban space, creating new farmland is very difficult as “there’s only so much land that you can develop and own in the world”, Mr Delves said. Mr Delves even predicts that moving forward, new and innovative companies (like property crowdfunders) will begin to create new investment vehicles which will give Australians the ability to access these properties in ways more suited to their needs than those that have been seen in the past. “There’ll be these businesses that morph and evolve and are pretty exciting in terms of how they’re structured; the way people come in, what kind of exposure they get, what they own, what they’re getting returns on,” he said.